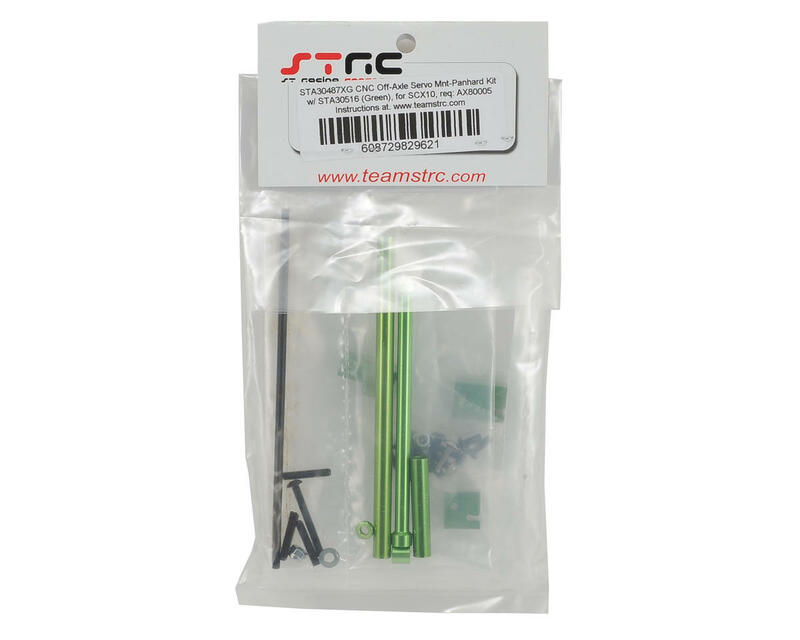 The STRC SCX10 Aluminum Off-Axle Servo Mount/Panhard Kit is a great way to improve the scale realism of your SCX10. It removes the large and visible steering servo off the axle pumpkin and on to the chassis under the body, giving your SCX10 a vastly improved realistic look. The 3mm heat treated steel black oxide panhard rod runs across from the knuckle kingpin to a specially designed panhard mount on the other side of the chassis rail. The tapered single suspension links provide the necessary clearance for suspension travel. The design is simple and effective and is a must have upgrade for your SCX10. 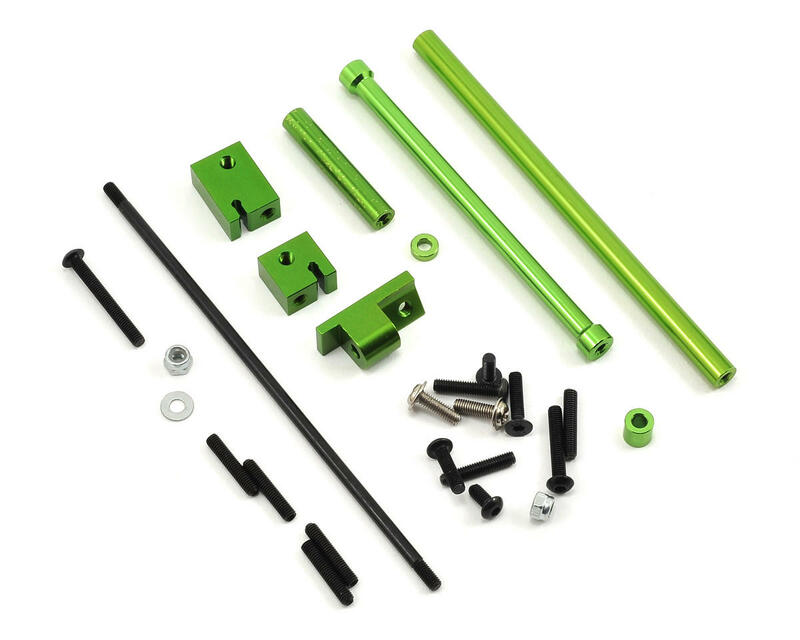 This combo kit includes the STRC aluminum steering kit (SPTSTA30516) and all necessary hardware for installation. You will need a set of Axial rod ends (AXI80005) to complete the assembly. NOTE: Not compatible with trucks equipped with the STRC SCX10 Lift Kit (SPTSTA30502L).